We love our iPads… and our MacBook Airs… and our MacBook Pros. But, we also love being able to get our day job done over the tools we use. So, a variety of other tablets are used around the office rather than ‘just’ iPads. The love/hate of using an iPad is that the language, apps and storage is common to our notebooks. This means things work the same and files are shared easily across systems. The downside is the size. The iPad is something you would only see a few years ago on SciFi shows. A large, bright, high resolution and incredibly thin means it is much more portable than opening a notebook and typing to get to our information. That said, the diameter is close to that of the common notebook so you do have to be committed to using the technology or why both hauling it around between meetings. With this in mind, many coworkers have been using Kindle Fires and Nexus7 devices. They are small enough to carry like a small paper notepad and give the ability to get to our information no matter where we are in the buildings. While portable, meaning easy to carry and quick to use, they do not have many apps that cross over to our office work software. This means there is usually an extra step or files need to be translated in/out of apps. All of this to say, we are excited to give the iPad Mini a try. We aren’t all in with the full staff grabbing up ‘mini’ happiness, many people that do their presentations and meeting notes on their iPads still feel they need the larger screen. Interactive magazines that are so nice to read on the iPad 2 and 3 will be one of our first tests as the assumption is we will need to zoom in/out due to the smaller text on the mini sized screen. Right after the Apple presentation, much of the water cooler chatter was around what people would like to try on a Mini and what will be must haves. 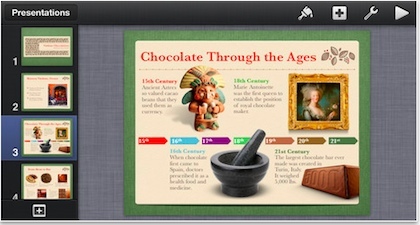 Apple announced and released a new iBooks which claims it’s strong point is cloud storage of our eBooks and PDFs to allow easier sharing across our devices. Non of us are particularly excited about the ‘endless’ scrolling pages feature, but the sharing of eBooks and clips from eBooks will make the app an early install to keep access to research materials effortless. 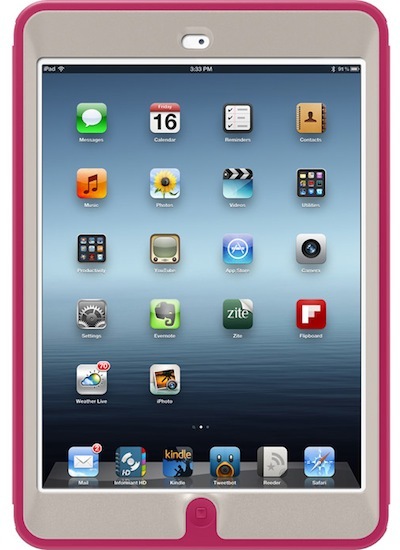 Protection has proven a must for many of the mini tablet users. The smaller size means they have a tendency to get held by pinching between two finger and they seem to twist out of our grip when carried stacked on other devices or notepads. This area is completely to a person’s taste. The smaller size means they look very natural as a paper notebook when those style wrappers are chosen. 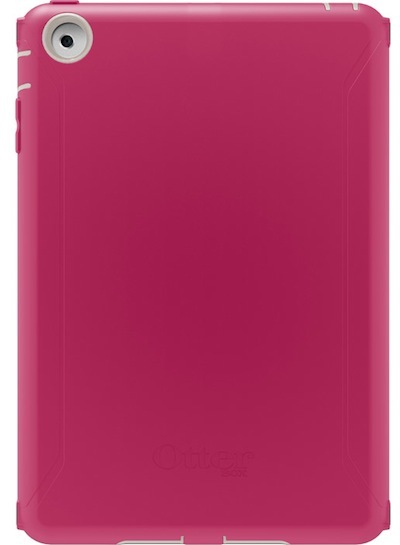 For the serious user that is always on the go, OtterBox is showing three color options in a Mini sized Defender Series Case . These are the cases purchasing gets for those folks that have a tendency to drop or bump their devices. One of the team let us know that they got a email coupon to get a few bucks off if your looking to pick up this level of protection – 5% off orders of $50 or more use CODE: AM2012! Offer Expires 10.31. Next up is which apps lend themselves to the screen size. The hardware size equals portable, but does the screen size mean a person is always having to make adjustments to how they interact with it? We use a lot of different handwriting and sketching apps on our iPads. Three that will get tested right away is Penultimate, Note Taker HD, Paper and SketchBook. These are the apps that we use every day to hand write notes, sketch ideas and draw concepts. We would assume that the smaller screen just makes the work area smaller. But, remember, the screen is not at the level of quality found on the larger new iPads. 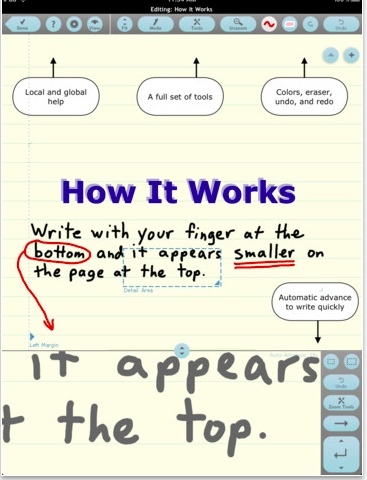 Successful handwriting requires the lines start right on screen touch, not skip and have smooth curves as your lines sweep around the loops of the letters. Interesting stylus tip we stumbled upon. The disc of the Adonit stylus hits the iPad screen with a solid tap that feels unlike a pen on paper yet draws very nicely. The pressure sensitive version of the Adonit and Jaja pens seems to create less noise in meetings as well feels more like the classic ink pen and paper pad. Photo editing might be fun. The screen size of the Nexus7 has proven to work very well for touching up photos. The ‘full size’ iPad is almost bigger than it needs to be for minor photo edits. 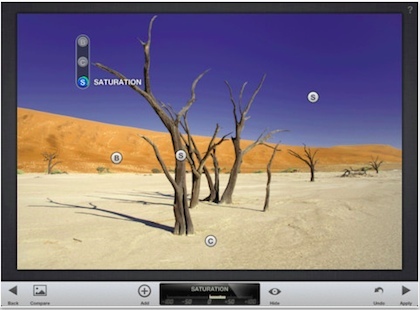 Perhaps, when using the more advanced apps like Laminar, Filterstorm or PSTouch, the small screen might require zooming in/out to get the fine tuning desired. When we talked about the edits done most often though, Snapseed and the new iPad Camera+ do just enough to become the defaults. Apps that require entry areas can be ‘size’ challenged. These are list programs that we use for Task on projects. Usually there is areas to enter text, then the ability to drag/drop. Both that require a finger tap of some level of precision. Lists like Cloud Outliner or OmniOutliner and process flow diagrams in OmniGraffle. 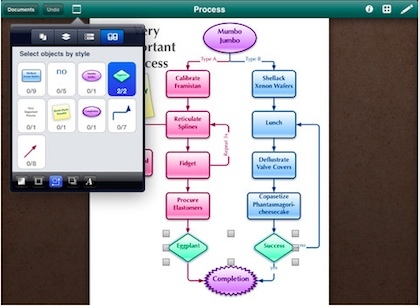 All three are apps being used quickly in meetings, usually with people watching and waiting. Not the time to tap and miss, moving the wrong item. Our assumption is that the Apple Work apps will work perfectly. Keynote, Numbers and Pages work as described, files moving back and forth with our other Apple devices. This is ‘in part’ the reason many of the folks that have the Android small tablets are looking forward to trying the Mini iPad. Less thinking about moving files and everything feels similar between the tablet and notebook devices.